(Editor’s Note: Today’s post is brought to you by Readex Research , which provides expert survey services to help businesses understand their internal and external customers. Their services include employee experience surveys. The whole purpose of a survey is to take action. (Editor’s Note: Today’s article is brought to you by our friends at Workify , a tech-enabled service that helps companies establish more real-time feedback loops to uncover hidden engagement issues. Employee surveys are important. HR analytics produces large amounts of insightful employee engagement data, filled with potential insight into employee attitudes, morale, retention rates, and more. Even so, it’s often difficult to explain how employee engagement affects business outcomes and solves company problems. SEE ALSO: Why Facebook Employees Are More Productive, Motivated, and Satisfied. Data that’s important to HR rarely reflects the data driving business outcomes. Meaning that, while organizations have sales departments and recruiting teams, there’s an expectation that everyone is working together to make sure the organization brings the maximum amount of revenue and attracts the best talent. But, organizations need engaged employees. According to Gallup’s most recent data, 43% of American employees work remotely at least part of the time. With work-from-anywhere policies becoming more and more common and the remote workforce continuing to grow, companies need to make a concerted, consistent effort to keep their remote employees engaged. What do we mean when we say employee engagement? Click To Tweet. Remote employees don’t want to feel remote. (Editor’s Note: Today’s post is brought to you by our friends at Kronos , a leading provider of workforce management and human capital management cloud solutions. We’ve all seen the reports that engaged employees are more productive. Even if they wanted to. (Editor’s Note: Today’s post is brought to you by Workify , an all-in-one people management software platform. Workify is a technology-enabled service that helps companies measure and trend employee engagement over time through continuous feedback loops. Companies depend upon employee engagement for multiple reasons: higher productivity, better morale, lower turnover rates, and other, more ephemeral reasons, such as trust in management and self-confidence. Employment engagement strategies aim to foster engagement that’s in tune with company values and corporate culture. WEBINAR: Thinking Outside the Perks: Recruiting and Retention to Improve Employee Tenure. How to Define Employee Engagement. (Editor’s Note: Today’s article is brought to you by our friends at Workify , a tech-enabled service that helps companies establish more real-time feedback loops to uncover hidden engagement issues. So, the first thing organizations need to do is establish a baseline. (Editor’s Note: Today’s post is brought to you by Readex Research , which provides expert survey services to help businesses understand their internal and external customers. Their services include employee experience surveys. That’s an important thing to know. Speaker: Peter Merrill, President, Quest Management Inc.
Bartender mentioned what is believed to be an old Chinese Proverb the other day. The best time to plant a tree was 20 years ago. It reminded me that the same philosophy applies to employee engagement. The ideal time to deal with engagement was decades ago. DecisionWise has measured employee engagement drivers for over 20 years. 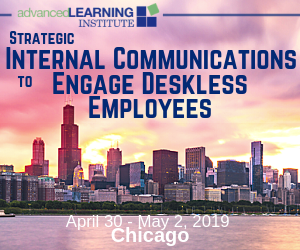 Our research shows that there are 5 keys that drive employee engagement: Meaning, Autonomy, Growth, Impact, and Connection what we call engagement MAGIC. The Five Employee Engagement Drivers. “Employee engagement” – these two words are the bane of any company that prizes efficiency and expediency over the placation of their team. It’s time to end the madness, and bring order to the workforce - once and for all. 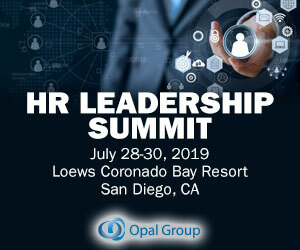 The world of HR is constantly evolving, so it is absolutely critical for leaders and HR professionals to stay on top of emerging trends and innovative approaches to address classic conundrums, like employee engagement. . While podcasts and online presentations, like TED Talk recordings , are great options for learning on the go, nothing is quite as effective as a good read to obtain in-depth knowledge. Engaged employees means productive, loyal employees. Most companies have over time realized the importance of employee engagement in their overall success. Engaging employees meaningfully brings happiness to all parties; make the employees loyal to employers while also increasing their productivity level. Every employee desires to be recognized and encouraged to participate in corporate activities while also being appreciated for their hard work. When it comes to identifying the benefits of employee engagement, there’s certainly no shortage of information. There are hundreds of studies, thousands of blogs, and millions of search results dedicated to the topic. We’re going to change that with today’s article! This is a major perk for many employees, and can be a huge selling point for companies looking to stay competitive in a cutthroat marketplace. However, managing remote employees requires a different approach than you might take when you’re managing a team situated just down the hall. If there’s one thing that’s certain in the world of Human Resources, it’s that employee engagement matters. If there’s a second thing that’s certain, it’s that HR knowing this has done almost nothing to improve employee engagement. Click To Tweet. The Reddit community has interviewed politicians, comedians, and others asking them everything from their favorite condiments (Amy Poehler) to the chances of playing 007 (Idris Elba). It’s a great way to allow employees to interact with senior management. One-on-one meetings between managers and employees have always existed. Why not use regular communication as a way to strengthen performance. Organizations need to remember that the one-on-one meeting becomes successful when managers and employees have a good meeting. 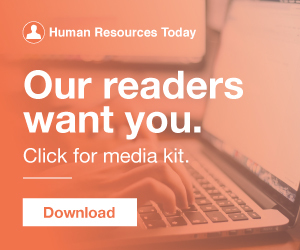 Today’s employees are drowning in a sea of corporate content—endless emails, Slack channels, training manuals, and learning guides, HR forms, company newsletters, and corporate mission statements. Our brain is hardwired to understand visuals better than text. It goes without saying that employees are the heartbeat of every organization. A business is only as good as the team that’s working behind the scenes to get the job done. Happy employees are motivated to work harder (and smarter) for their employers. Remote workers have already proven to be more productive for many businesses. This trend will only continue to rise. With access to the latest and greatest technologies, it’s never been easier to communicate and collaborate with people anywhere, at anytime.